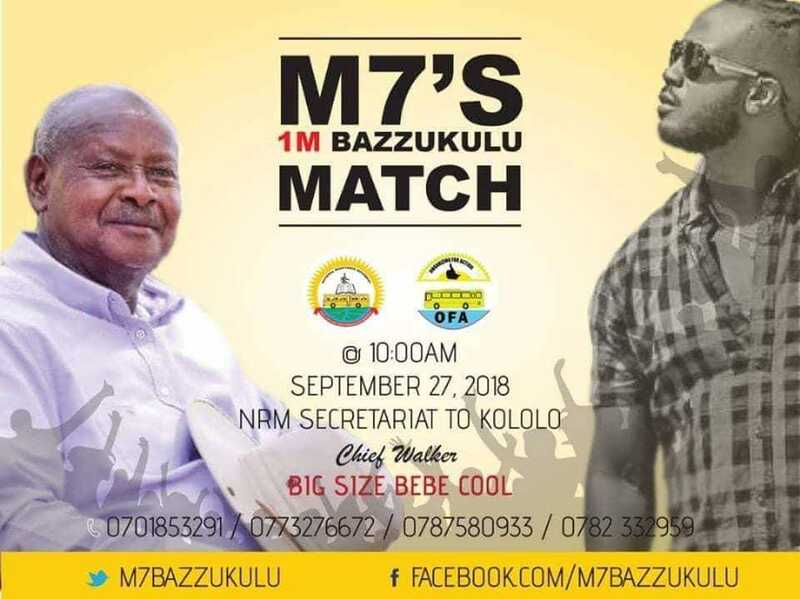 The National Resistance Movement (NRM) party has come to say that the alleged bazukulu walk is a ploy aimed at making singer Bebe Cool look weak before President Museveni. This comes after a poster of an alleged NRM supporters’ walk has made rounds on social media. The catch to this event was that singer Bebe Cool was to be the chief walker which event the poster says is to take place on September 27. However, the NRM party spokesperson Rogers Mulindwa has discredited the walk saying that nothing of the sort is being organized. “We have not planned any walk. 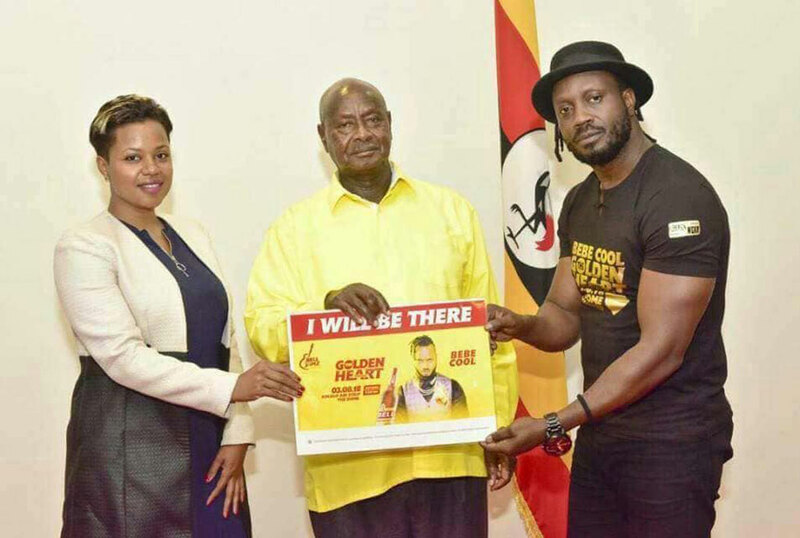 Whoever made that poster is hoping that there will be no walk on September 27 so they can say that Bebe Cool failed to mobilize youths for a walk,” Mr Mulindwa said. He revealed that Bebe Cool had no clue about the walk and was surprised to see posters advertising him as the chief walker which is why he denied involvement in the walk. However, in a phone interview with sQoop, a one Irene Nabwire who claims to be an NRM cadre and one of the brains behind the bazukulu walk, the event is being organized by some NRM cadres and supporters who want to show that there is still love for Museveni in the country. She however blames one of her colleagues, a one Arthur Nuwagaba whom she says uploaded the poster on his social media timeline before organization of the event was complete. She however blames one of her colleagues, a colleague whom she says uploaded the poster on his social media timeline before organization of the event was complete. She says that as far as she knows Bebe Cool was not supposed to be part of the walk and doesn’t not understand how he got on the poster. “I knew nothing about Bebe Cool but it is my colleague who designed the poster. We had planned to have the walk but I honestly knew nothing about Bebe Cool,” she said. She however called upon the bazukulu to remain calm as the event will eventually take place with or without Bebe Cool. She says that youths from the different regions in Uganda will be transported to Kampala.